The Arthritis Foundation is pleased to introduce Thomas A. Griffin, MD, PhD as the Medical Honoree for the 2015 Charlotte Art for Arthritis. 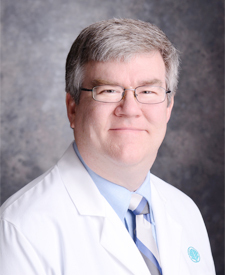 Thomas A. Griffin, MD, PhD, board-certified in pediatric rheumatology, joined Levine Children’s Specialty Center 2011. Dr. Griffin graduated from the Case Western Reserve University School of Medicine in 1991 and went on to complete his residency in pediatrics at the Rainbow Babies and Children’s Hospital and his fellowship in pediatric rheumatology at the Cincinnati Children’s Hospital Medical Center. In his spare time, he enjoys spending time with family and friends, playing golf and sings baritone with the Charlotte Symphony Chorus. Dr. Griffin, his wife and two children live in Waxhaw. The Arthritis Foundation is proud to honor Dr. Griffin and we know under his leadership this year's event will be a success! Please consider donating to help support those fighthing Arthritis.